RYANAIR HAS SAID today that it has cancelled 20 of its flights to and from Ireland next Friday 3 August, after pilots from the union Fórsa are set to strike for a fourth day. It said that all 3,500 customers affected by the cancellations have already been notified by email or text message. It is set to offer refunds or re-accommodate passengers on other Ryanair flights to and from the UK. Ryanair, in a statement on Twitter, also accused Fórsa of rejecting to meet yesterday to discuss its planned job cuts from Dublin in October. Yesterday morning, the airline announced plans to cut 20% of its Irish-based fleet this winter, and cited the ongoing strikes in its statement. In the afternoon, Fórsa said pilots would strike for a fourth day since this dispute began. The union warned further strike action would follow later into August unless the company “changed tack” and “negotiated in good faith” on issues around base transfers and related matters. 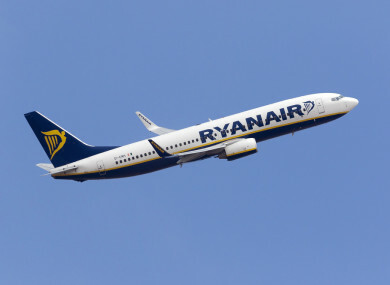 The union claimed that it had written to Ryanair last Friday 20 July to Ryanair to say it was available for negotiations but that there has still not been any response to this. Email “3,500 customers affected as Ryanair cancels 20 flights ahead of Friday 3 August strike”. Feedback on “3,500 customers affected as Ryanair cancels 20 flights ahead of Friday 3 August strike”.